PULCOM　V2D | TOSEI ENGINEERING CORP.
Touch-Panel Icons operation like smart phone. Configuration data can be saved and loaded by USB memory. You can operate in the local language mode ! In addition to English and Japanese mode (pre-installed as standard ones), You can choose and use another from Chinese, Korean, Thai, Indonesian and Spanish. 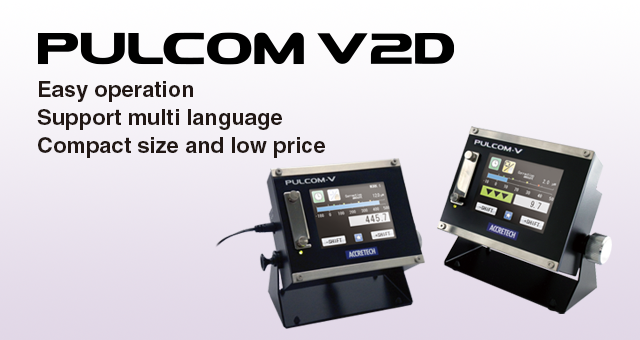 PULCOM V2D is most suitable for in-process gaging of simple workpieces. O.D. 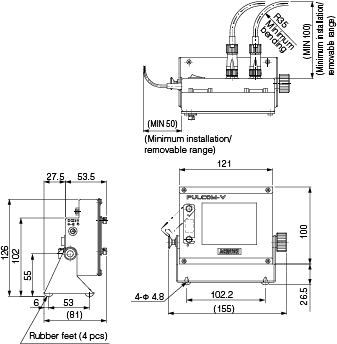 Measurement of a step-shaped workpiece. 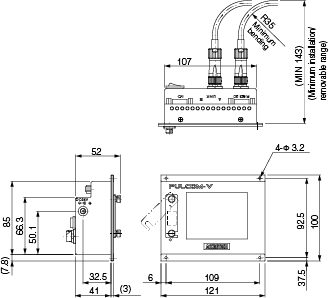 Connecting a measuring head (Γ-DII) with support for wide range measurements without the need for setup due to different workpieces dimensions. Setting for size changing in the same workpiece does not need.